Do you have the flying home stamp set yet? This card may tip you over the edge to buy it. I love this card! It's from one of my set sampler friends. I'll post the name as soon as I find out. 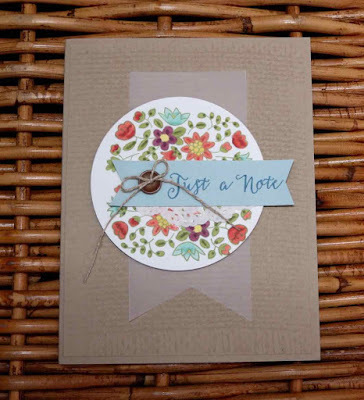 I love they how used the burlap background stamp on the Crumb Cake card stock. 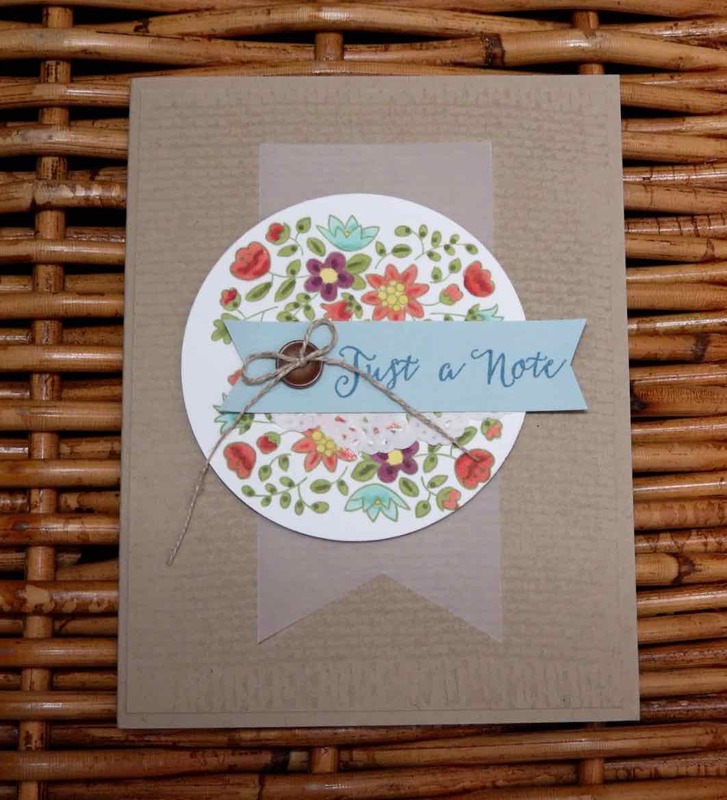 The bright cheerful colors and the Stampin Blends makes it easy to layer on the color and makes the flowers pop. The stamp set is only $24.00 so if you are interested in purchasing it, just click on the picture in the supply list.